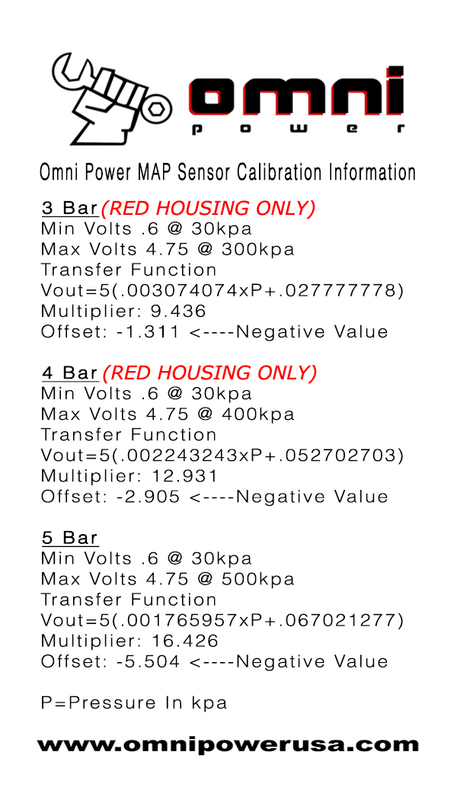 Omni Power USA 5 Bar MAP (Manifold Absolute Pressure) sensors use state of the art bipolar op amp circuitry with thin film resistor networks built into each micro chip. Pressure changes are calculated on a true linear 0-5 volt scale via a specially designed silicon pressure sensor that also compensates for temperature changes. The unique ability to compensate for temperature changes allows the Omni Power USA MAP sensor to remain a minimum of 99% accurate from 32 degrees F to 180 degrees F through out its range of scale. With the true linear pressure vs. voltage scale there is never a need to re-tune at different altitudes as with other sensors. Competitors sensors on the market don't have true linear scaling which can cause your engine to go out of tune with elevation changes, often resulting in idle problems, poor driveability, and catastrophic engine damage. 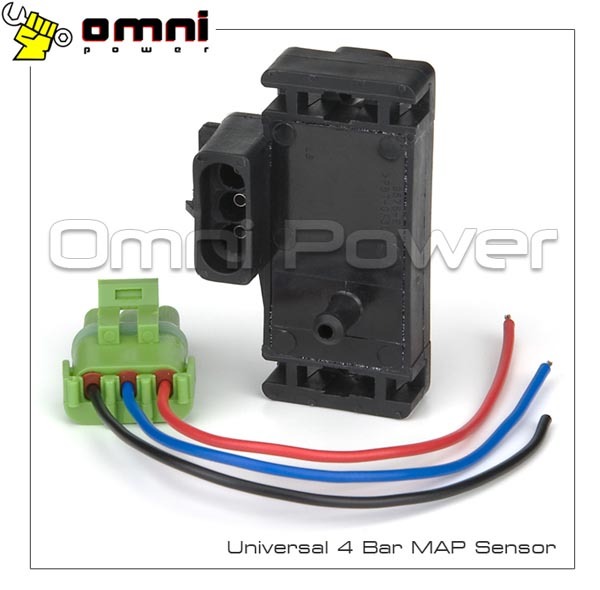 Omni Power 5 bar MAP sensors can precisely calculate boost pressure from 1-58+ psi while still allowing smooth stock OEM drivability at any boost level. Conveniently packaged in a universal GM Style housing including plug and pigtails for an easy install.